One of Westminster Befriend a Family’s service users of over 3 years, Jannatul Chowdry, has secured a place at one of London’s leading multidisciplinary universities: UCL. 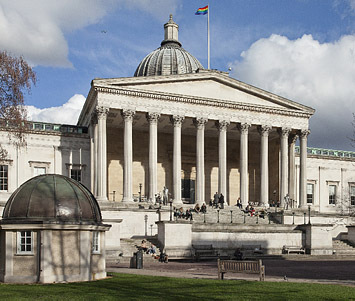 “I have achieved my dream of getting to university and am now studying at UCL,” said Jannatul. “I couldn’t have done this without the support of all the fantastic volunteers and staff at Befriend a Family. In particular, I’m grateful to Jacqueline, the Director of Services, who provided me with a work placement in the office and helped with my personal statement for university and encouraged me every step of the way. Westminster Befriend a Family provides a stable platform for young people so that they are not setback by difficult circumstances. They have helped many young people to develop the belief and confidence that they can achieve great things; I feel lucky to be part of such an organisation. I have benefitted from the creative writing project where a collection of short stories written by young people were published. From swimming to outings and educational projects, my time at WBAF has certainly been varied and I would like to take this opportunity to thank them for being such a constant in my life and that of my family, especially my brother, whose life would have turned out very differently without such a strong support system.